Type “central philippine university” into the Google search box and you will get a list of websites that ranks for the keyword. Refer to the screenshot of the search result below and you will see that CPU Blog (enscribed by a red rectangle) is no. 5 on the list. Please consider though that search engine results page may vary because of location, among other factors. What makes CPU Blog’s listing on search engine unique from the rest? Please have a look at the image above and read the description and you will see the difference. NUMBER 1 – CPU Blog is the only website that advertises directly Central Philippine University. Centralians, please take note you can’t find the elements above in the description of other websites. NUMBER 2 – Furthermore, CPU Blog promotes Central Philippine University through the call-to-action widget in the middle of its front page. NUMBER 3 – Lastly, click the “CONTACT CPU” tab at the top of the blog and it will redirect to the Central Philippine University official webpage. I found this video taken the morning after Typhoon Frank hit Iloilo, flooding CPU with storm water, mud and debris. I was using the camera of my Nokia 2210 so my apologies for the poor resolution. Notice the ankle-deep silt blanketing the area around the elementary, Johnson Hall and towards Gate 6. Congratulations graduates of Central Philippine University SY 2013-2104. The Department of Agriculture Region 6 in cooperation with Central Philippine University invites you to its 3rd Organic Agri Trade Exhibits and Seminar on November 11-15, 2013 at CPU with the theme: “Mainstreaming Organic Agriculture in Agribusiness”. The DA-CPU Trade fair and Seminar started three years ago to enable the organic farming industry, and all others interested in organic farming, to participate in research and education relevant to organic and bio-dynamic management systems. The annual event will be attended by agri-entrepreneurs, technicians and farmers. Your participation in the exhibits, seminar and sponsorship will help accelerate the development of organic farming practices within the region, thereby reinforcing the long-term sustainability of the Philippines food production systems. A TRADE FAIR AND EXHIBITION WILL BE PUT UP AT THE ALUMNI PROMENADE AND CONCERT PARK ON NOVEMBER 11-15, 2013. The CPUR elections of 1987 resulted in the landslide victory of a group of independent candidates. With their slogan “I am Independent! I am free to Serve!” these batch of CPUR leaders captured the sentiments of the students. The construction of a bulletin board at the high school province. the repair of broken switches in the Old Valentine Hall, highs school, techno, and agriculture building. Through the Salido-Plotria administration, the students were able to persuade the Administration to refund the students of their cultural fee payment. The fee was collected by the Administration without proper consultation from the students. Resolved with the good intentions of the cultural fee, it was then charged in the next semester. The Salido-Plotria administration was able to conduct the first CPUR Day and homecoming of previous CPUR officials. It was during the first year of the independents that student activism had regerated in a different approach. Source: Jonan Castillon, “The History of the Revived CPUR and the Emergence of the Student Independent Democratic Party,” Central Echo Summer 1999. Independent candidates during their miting-de-avance parade in 1988. 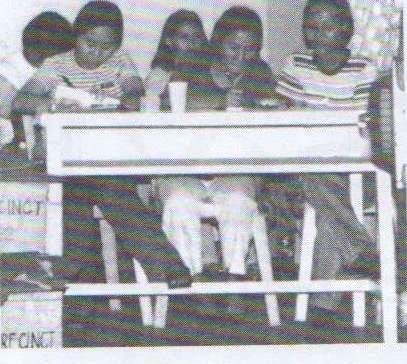 The decision to boycott the school year 1986-87 election created disillusionment to some members of the USP. According to them, they were not consulted about the party’s decision. They said that only top USP officials made the decision whose pride in the “Constitution” issue was affected. Meanwhile, some idealistic members of the Koalisyon were becoming restless because of the party’s failure to implement programs, which would make leadership impression to the studentry. The polarization of the CPUR between USP and Koalisyon which deviated the CPUR from a real pro-student government, the failure of both parties to work in unity prompted other leaders both members and non-members of the two political parties to search for an alternative. 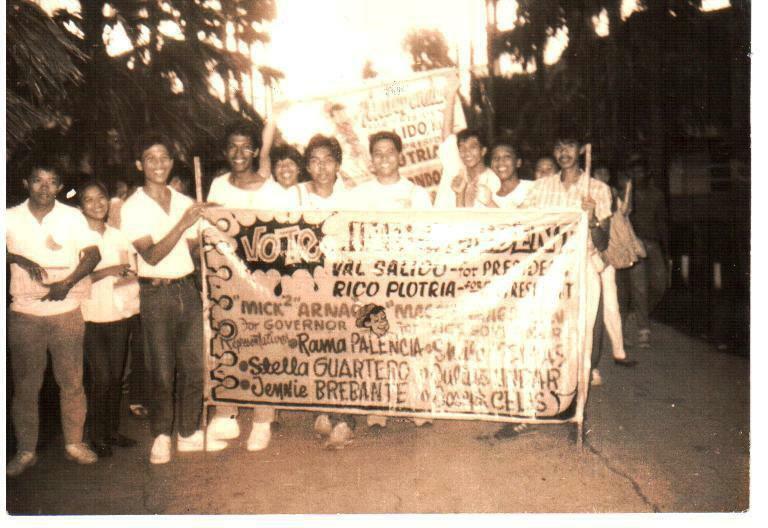 Right after the election in 1986, Val Salido, consistent honor student in the College of Engineering was challed by a classmate to make initial plans to organize an alternative group. 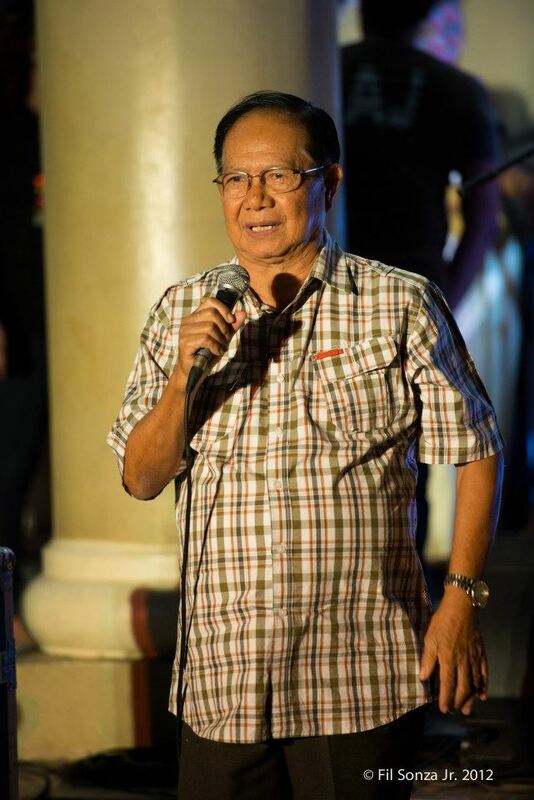 Salido was a former CPUR senator (USP) in 1984. He and the classmate discussed their visions of a true pro-student CPUR. They plotted palns for the SY 1987-88 CPUR election. Immediately, the thought of forming a new party emerged. However, the two realized that forming a party would not be a good solution because they perceived that the students might have negative impressions on political parties based on the present party polarization in the CPUR. Later, Val Salido, Ryan Comuelo, a high school classmate; and the engineering student leader conceived the idea that instead of forming a party, candidates for all positions would be recruited. They will be instructed to file their candidacy as independents. This concept was later echoed to Rico Plotria, a classmate in college and in high school. Plotria was a popular leader in the College of Engineering. At that time, the Koalisyon as their next presidential bet was eyeing Rico Plotria. 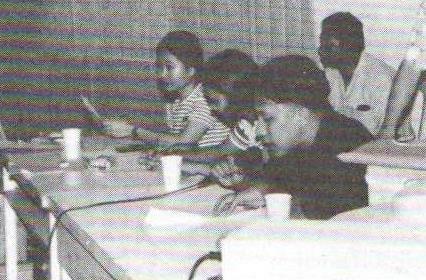 In SY 1987-88, while the “independent concept” was silently being worked out by Salido, Plotria and their supporters, another group under the leadership of Roy Fajutrao, Jojie Roy Juarez, and David Mark Dominado who incidentally were high school classmates of Salido and Plotria, organize a party. John Roldan, a fifth year EE student and the chairperson of the Work Student Organization became the standard bearer of this party known as the New Student Alliance. (NSA later became the Democratic Student Alliance). Meanwhile, Koalisyon, the ruling party was preparing for the year’s election and with hopes to again capture the presidency. However, the party’s popularity was at the ebb because most of the students were dissatisfied with the current CPUR leadership. The students’ cry for a change in leadership was proven true when at the prelude of the election Koalisyon could not come up with a strong national and provincial line-up of candidates. Some of their leaders in the colleges who were Salido and Plotria’s batch in high school and whom they were counting on to recruit candidates defect to the Independents. In the college of engineering, the Phi Beta Epsilon Fraternity, which was a PANGMASA and later Koalisyon’s avid follower, shifted its loyalty to the Independent’s cause. Val Salido is a member of the fraternity. To further strengthen the independent support in the college of engineering, Salido forged union with the Gamma Rho Upsilon, also an engineering-based fraternity. In due time, Koalisyon’s machinery broke down with College of Theology as the only supporting college left. As the deadline for application of candidacy drew nearer, the remnants of loyal USP leaders made a last effort to establish their presence and participation in the election by circulating printed statemen, “encouraging all USP candidates to run as independents”. 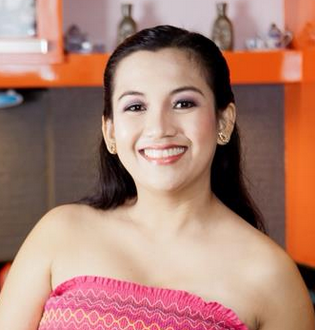 However, Amparo Barroma, another high school classmate of Salido and Plotria refrained from distributing such classmates as it would affect the “independent” stand of the group. The slogan of the independent candidates was “I am Independent! I am free to serve!”. In the election, all “Independent” candidates, except a candidate for representative in high school won the election. Thus, for the first time in history of the CPU Republic a landslide victory was achieved not by a party but by a group of Independent candidates. As the next school year 1984-85 opened, the CPUR witnesses an event which was the first ever in the CPU Republic’s history—two parties coalesced to form a new party. The PANGMASA and the Alliance of Democratic Students joined and the party Koalisyon ng Demokratikong Mag-aaral para sa Sambayana emerged. As described by Sherlito Deduro (Vice President 1984-85) in his article, “Koalisyon ng Demokratikong Mag-aaral para sa Sambayanan”, the moderation and militancy which characterized ADS and PANGMASA, respectively became the weapons of the KOALISYONin answer to the chaos which characterized the national government. On the other hand, student political observers interpreted that one reason for the ADS-PANGMASA union was that the two parties felt weak against USP standard bearer Vitini Idemne who was the No. 1 senator in the previous year. Having given no hand in the decision-making process, the ADS-PANGMASA coalition resulted into the division of the high school ADS leaders. Some were recruited by the USP while other went to the KOALISYON. The split of the high school ADS was significant for they were the batch of leaders who became strong contenders for higher CPUR positions under their respective parties in their college years. Among these leaders were Rico Plotria and Val Salido, who became a KOALISYON and USP, respectively. They later reunited in 1987 to lead the group of independents to a landslide victory. Perhaps the time when CPUR became the most active student government in Iloilo was during the presidency of Manuel de la Fuente (KOALISYON). 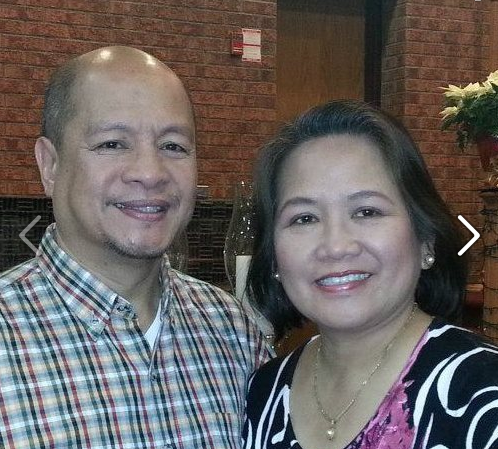 Mr. De la Fuente was a student of the College of Theology. It was the height of student demonstration against the Marcos regime and campus affairs focused mainly on national issues. It was the period when the legislative and the executive often met jointly and the active participation of the adviser, Atty. Jane Harder was observed. The de la Fuente Administration’s general program of action of “sponsoring symposia, for dialogues, workshops, and other forms of discussion on critical issues” gave both the students and the Administration a very unforgettable year. The accomplishments of the de la Fuente administration were the revival of Central Echo, which publication stopped for one semester. Their demand to purchase a good quality public address system was granted by the Administration. Other accomplishments are as follows: readjustment of the sixth gate’s schedule for the students’ convenience, the creation of the student organization federation, and the adjustment in the hourly rate of the work student in proportion with the tuition fee increase. Glenn Campañera, an engineering student headed the CPUR in SY 1985-86. A reticent type and very reserve person, Campañera was in a way opposite to de la Fuente’s personality. Although for the succeeding years the Koalisyon party had succeeded in getting the top leadership, the USP had the majority of the legislative department. At this period, the CPUR had become a field of heated arguments and walkouts due to party interests. This created prejudices between the Koalisyon and USP elected officials. The USP, which dominated the legislation branch, would not approve legislation by the Koalisyon and later, the USP dominated legislative will pass legislation with almost the same idea or provision authored by the USP. It was during Campañera’s incumbency when the “Constitution” issue emerged. The congress had already approved a draft constitution. Immediately, ratification procedures followed. Campañera being the chief executive facilitated the ratification in which the “yes” votes for the constitution won. However, the CPUR president did not approve the ratification. He passed a declaration, which stated that the constitution was not validly ratified. One of the reasons was the low percentage of votes. The USP members in the CPUR headed by Senator Felice Garingalao, who was the Chairperson of the Constitutional Commission were not amenable to Campañera’s move. The Upper House subjected the CPUR President’s decision into several debates. Protest was filed with the SOC. The complaint was deliberated until the next school year 1986-87. Whether or not Campañera’s move was a political maneuver (as top level USP officials thought), being the president, he has the power to veto any legislative initiative with valid grounds. However, the USP leaders claimed that Campañera’s move was to prevent the USP from crediting to their accomplishments the “duly ratified” constitution. The Campañera administration was able to conduct routine CPUR activities such as during the University Day, CPUR sponsored shows and symposiums. Because of the “Constitution” issue, the USP boycotted the SY 1986-87 election and thus, Roosevelt Baldago of the college of commerce came out victorious with the rest of the Koalisyon candidate running unchallenged. 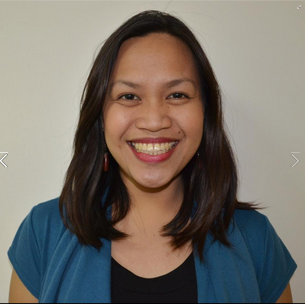 Koalisyon described the boycott option by the USP candidates as a “political suicide”. This was proven true for in succeeding y ears, the USP never recovered and was lost in the CPUR political arena. Baldago’s one party administration was expected by most students to perform well because all officers of CPUR were Koalisyon party members. CPUR activities focused mainly on routine activities such as during University Days, CPUR sponsored shows and others. The students’ hope for a wholesome CPUR year did not materialize. The idealism of Koalisyon party failed to be manifested in a one-party administration. Indeed, student activism, which was observed during the De la Fuente administration, waned. This could be attributed to the change in the political climate of the national government. School year 1986-87 was the year when the EDSA revolution occurred and the air of freedom it brought was very fresh in every student’s mind. The imposition of martial law in 1972 suspended the annual establishment of the CPU Republic. The purpose in which the student republic was created in 1906, to educate the Filipino people in the democratic form of government, was temporarily disturbed as the clout of martial rule curtailed the liberties of the Filipino people. When martial law was lifted in 1981, there were immediate moves to revive the oldest student republic in the country. The Student Organization Committee (SOC) announced the revival of the CPUR. The SOC encouraged the students to organize themselves into parties and have their parties accredited. In answer to the SOC’s bidding, three parties applied and were recognized. 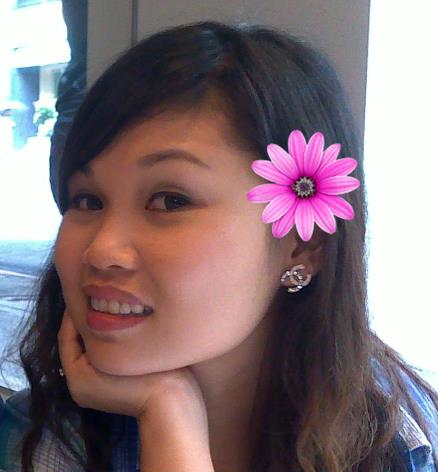 They were the PANGMASA, Alliance of Democratic Students (ADS), and the United Students Party (USP). In preparation for election, President Pulido together with the SOC gathered the student representatives from participating parties. The meeting paved way for the revision of the pre-martial law CPUR constitution. The group adapted it for election purposes only. Here, the constitution was transitory in nature because the group agreed that the adapted constitution should be used until the elected CPUR officials could facilitate a duly ratified constitution. The history of the revived CPUR could be divided chronologically in three regimes. The PANGMASA party, which ruled from 1982-1984; the Koalisyon party in 1984-1987; and the Independents/Student Independent Democratic Party (SIDP) in 1987-1990. The first president of the revived CPUR was an engineering student named Gerardo Sonalan of the PANGMASA party. His administration was strongly supported by the engineering student leaders. His administration could be considered as very militant because it immediately provided a venue for student sentiments on various national issues. It was during his time when the Central Echo, the official student paper of CPU was revived. Four senators led by Senator Vitini Edhard Idemne (USP) pushed for the revival of the Central Echo. Sonalan tried to assert for an autonomous Central Echo but the group agreed to the guidelines that there will be advisorship by the administration. The next PANGMASA president was Gualberto Cataluña, a law student. He finished an engineering baccalaureate degree in CPU also. His candidacy could be considered controversial because of the issue on grade requirement. The SOC requires a 2.0 average grade for every student who files his/her candidacy. However, Cataluña whose grades fell below 2.0 appealed directly to President Pulido for reconsideration. The administration overruled the SOC’s decision to uphold 2.0 grade requirement. The decision allowed Cataluña to proceed with his bid for the CPUR presidency. This decision resulted into the resignation of some SOC members. The other parties, ADS and USP did not react strongly on this issue as observed by SOC member (later Chairperson) Dr. Johnny Gumban. During his term, Cataluña was able to provide benches in several areas in the campus. Concrete benches bearing the inscription CPUR 1983-84 could still be seen along half-moon drive, central and acacia roads, and University Church drive. Infrastructure Management – Does CPU Teach This? Infrastructure Management involves the prolonging of life and use of long-term assets for the common good. Does CPU teach “Infrastructure Management”? I’m a Civil Engineering graduate of CPU 1989 and I can’t recall encountering the phrase “infrastructure management”. Maybe I wasn’t listening or I was absent when it was lectured but was the topic ever brought up in any of our subjects? Our curriculum at that time included nine units of management but they are more related to financial and business management. I could recall two phrases that could relate to infrastructure management topics, “sum-of-the-years digits” and “cost-benefit ratio” but they were never emphasized in that context. Is “infrastructure management” in the vocabulary of Central Philippine University? The easy and fast way to know is to do a search in CPU’s website. I made a quick search and it can’t be found. Anyway, Centralians need not be dismayed for the absence of “infrastructure management” (maybe during our years at CPU only) in our curriculum. I’m sure that some civil engineer alumni have practiced infrastructure asset management in their profession, courtesy of learning through experience or formal training through their company. 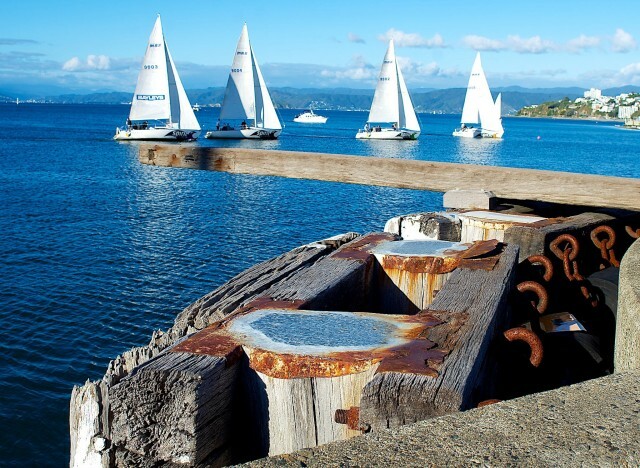 I learned recently that infrastructure management is integral in New Zealand local government practices. The basic aim of infrastructure asset management is to create plans and implement best practice procedures to maintain and prolong the service life of long-term infrastructure assets. This is very crucial to supporting and sustaining the quality of life in the community. When infrastructures or assets are managed well, it has implication in local and national economy, especially when resources are very limited. Going back to the question, I also have the big suspicion that other top engineering schools in the Philippines might be touching lightly on ‘infrastructure management’ and related topics. If Central Philippine University gives emphasis on “Infrastructure Management”, she will soon be graduating people who are apt and ready to gain career in this area, maybe in their local districts initially and take on jobs internationally. For further information, please browse this –> INFRASTRUCTURE MANAGEMENT website. Let us celebrate and take time to remember Dr. Juanito M. Acanto on his birthday, 5 April 2013. He was CPU’s former president. He continues to help CPU as board of trustees. Who could ever forget his leadership, Christian ministry, friendship, wit, humor, and most of all, his passion for beautiful CPU. Central Philippine University, which he led with competence, respect and distinction for 12 years, as Acting President, 1996-1998, and as University President, 1998-2008; a public servant, whose unsullied integrity made him one of the most respected and trusted elected official in the Province of Iloilo; a trial lawyer, whose courtroom savvy and intellect were admired by the bench and the bar, and by his clients, many of whom are the poorest of the poor. Beyond these, I know Dr. Acanto as the one who opened me the opportunity to serve CPU. He gave me his trust that motivated me to be excellent in my responsibilities. He rewarded me with his confidence that allowed me to pursue programs for the good of the University. He taught me what it means to be a Centralian. He exemplified to me what service to Central Philippine University is all about. Happy birthday Sir Juaning. My mentor. My friend. God bless you. Ang indi ko gid malipatan abut Sir Juaning or Sir JMA is his way of making things light or mamag-an. While he is meticulous, he does not burden you with his presence. Amo ina ang akon na appreciate sa iya; because of that mas na-challenge pa kami sa office to work harder and make sure that the trust he has given us is not in vain. And of course, who could forget his legendary humor? Incomparable! Sir Juaning, you are a blessing. God bless you more. Dr. Acanto has great influence in my career and I’m thankful to God for his life! He has a positive attitude that motivated me to work harder. He reminded me to always wear a smile even if my heart is aching. As a leader, he set the best example to put a smile on your face which brightens everyone he meets. You can always approach him without hesitations. He is a good listener and willing to help and give his full support. Everyone is important to him. I didn’t expect that my professional growth and life’s journey would come this far after he said to me “Charity, you have to get out of your box!” I will never forget those words.. Those words that encouraged me to embrace and explore the world with dignity and responsibility. Every time he gives his advice he would tell me to look up to God and that he will also pray for me. He is not only my great mentor but a great friend whom I can count on even if I don’t work for him anymore. Happy birthday my former boss, Sir Acanto! During my first year sa CPU, permi ko na Makita si Sir Acanto nagalibot sa campus. Students greeted him with such a big smile. Nabatian ko permi sa ila, “Uy si Tay Juaning nag agi” and they will greet him “Good morning Sir”. And with a smile, mamangkot sya na “kamusta kamu?”. That’s how he is, very approachable sa tanan. For 4 years as a work student sa President office, nahibal-an ko na the reason ngaa damu gid nga tawu gapalangga sa iya, it is because Sir Acanto has a huge heart. Kung pwede nya lang buligan ang tanan, giubra ya na. Personally, Sir, damu gid nga salamat sa tanan. You may not know it pero kung hindi dahil sa imu I won’t be able to reach my dreams. Sir, as you celebrate your birthday today. I always wish you good health for you, Ma’am Ruth and your family. You are always blessing and inspiration to us. May you continue to inspire other people Sir. Again, happy birthday!